You know most of this already right? I’ve been following Gav’s progress and tweets about the challenge for many months but never thought I’d ever get involved but when the opportunity arose on the 27th December – two days before Amy’s second Di-aversary* – I signed up. So there it was, we’d cycle next to Gavin for one of the days of his GBR30/30 challenge. It seemed to us like a token effort considering the challenge itself but Gav seemed pleased with the idea. 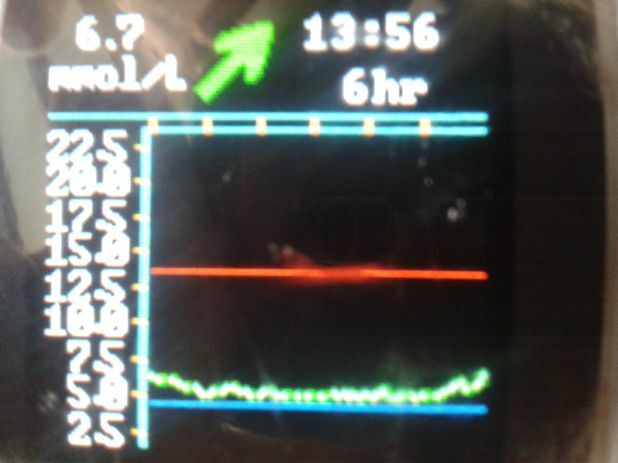 *diaversary – the anniversary of a person being diagnosed with diabetes, turned around to be a positive thing. If you’ve read the article about trying to inspire Amy then you’ll have guessed correctly that this was part of the plan. I wanted Amy to meet Gav at least and to see/hear first hand that the life of someone with Type 1 Diabetes doesn’t need to be held back; that she could aspire to have a great life without be ‘stopped’ from doing stuff*; that someone with Type 1 can do stuff that people without it (like me) could never dream of doing. I figured that if this mindset sank in before going through the next tricky teenage years then Amy would be better placed to deal with adolescence. * ok, I know there’s stuff she just won’t be able to do (join the army, drive for more than a couple of hours without stopping, eat without using an A-grader’s knowledge of GCSE’s mathmatics) but I’m talking in general; about not just sitting there and bemoaning her situation. I asked Amy if she’d liked to do the cycle and she jumped at the chance, even though the furthest she’d ever cycled was 24 miles the previous summer. I told Jane that I’d need her to provide driving support as we’d be starting in one place and ending somewhere else 30 miles away. “Damn, I’d better ring my Dad and ask him to drive then”. Logistics turned out to be the trickiest thing but I came out with a plan, saw it through and it all went well in the end. We discussed the challenge, what troubles he was having and somewhere along the line I offered as much support as he needed, especially for the last four days, starting at Torquay and ending at Land’s End. Soon it became clear to me that I wanted to do more than cycle just one day but the logistics of anything else seemed to difficult, until I threw a couple of ideas my Dad’s way. Suddenly the agreed plan was hatched, Dad and I would support Gavin from Torquay to Plymouth and Plymouth to Bodmin; Jane, Amy and I would cycle from Bodmin to St Agnes; we’d all be there at the (Land’s) End to cheer him home. I decided that I was going to cycle some part of all those four days but I kept it quiet, for a while at least.